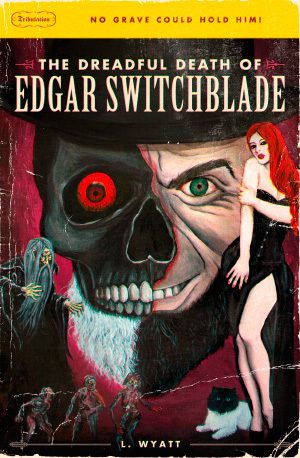 Book #2 in the thrilling pulp paperback series chronicling the grotesque adventures of your favorite cloven hoofed cannibal bounty hunter Edgar Switchblade. 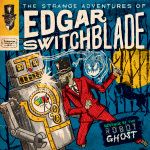 When the zombie plague descends upon the town of Cathedral Hill, Edgar and Old Red are hired to vanquish the horror. What starts out as a simple bounty quickly becomes a nightmarish struggle for survival when they must face the awesome might of the demon wizard Solomon Gorgoth. Can they defeat the ancient evil, or will this be the end of our tortured heroes?